In retrospect, this picture of a beautifully lit, glowing object, which was shot by a British photographer in Madrid around 1865, may be seen as an unwitting, symbolic locus for more injustice, glory, pain, triumph, powerlessness, exploitation, majesty and desperation than most documentary images could ever embody or reflect. 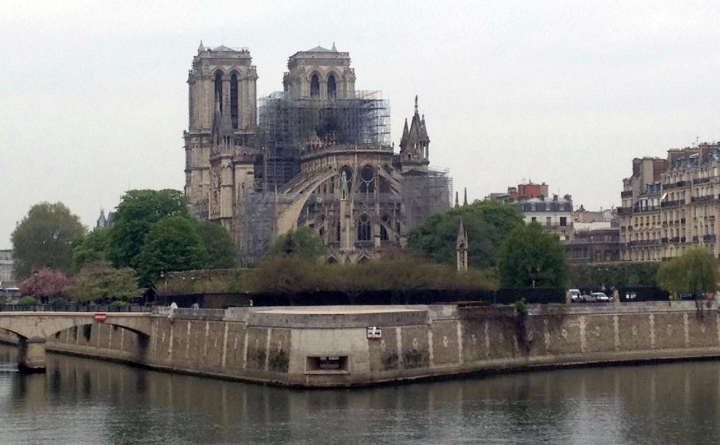 For if a picture like this one brings to mind the ruthlessness of the European colonizers, it also serves as a reminder of just how indelibly those raiders left their marks on the societies they vanquished. Depending on your historical or cultural-political viewpoint, especially if you’re a Hispanic person of the Americas, when it comes to the heyday of ol’ Nueva España, it has either been all downhill or all uphill since then. 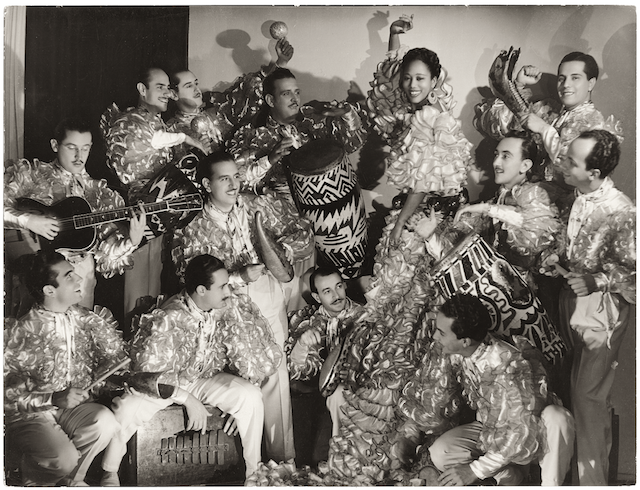 Cuba Then (Monacelli Press) features some 260 images from the Ramiro A. Fernández Collection of more than 4000 photographs of Cuba dating back to the late 1800s. 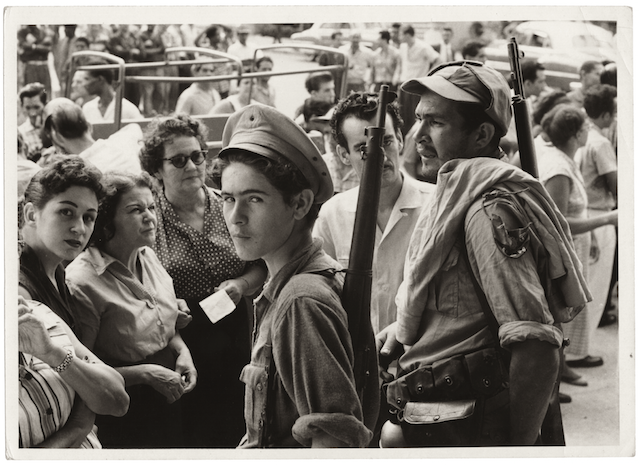 It is a sequel to I Was Cuba (Chronicle Books), which in 2007 offered a first selection of similar images from Fernández’s in-depth and often intriguing holdings. 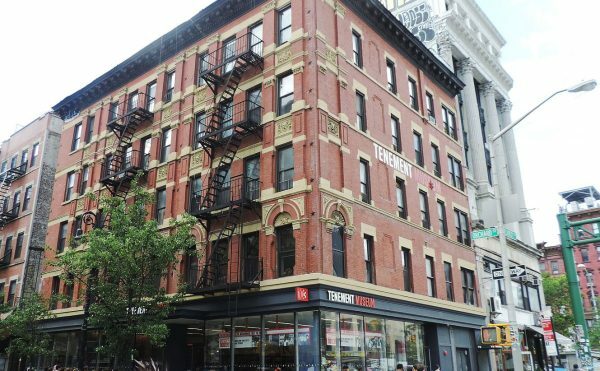 A New York-based former photo editor for various Time, Inc. magazines (Entertainment Weekly, People, People en Español) and current contributing photo editor of Americas Quarterly, Fernández emigrated from his native Cuba to Florida with his mother, sister and 22 pieces of luggage when he was eight years old. That was in 1960, shortly after the triumph of Fidel Castro’s dictatorship-crushing political revolution. 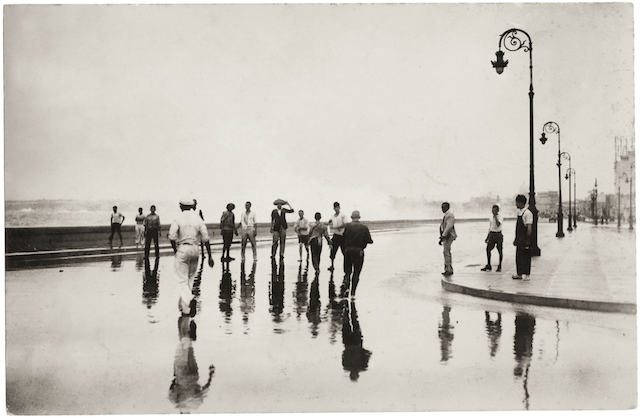 In a recent interview at his home in Manhattan, Fernández recalled his first acquisition, an album of Cuba photos by the Spanish-born photojournalist José Gómez de la Carrera, which he purchased in 1980. Gómez de la Carrera had arrived in Havana in 1885 and, among other accomplishments, became known for documenting his adopted country’s war of independence against Spain. 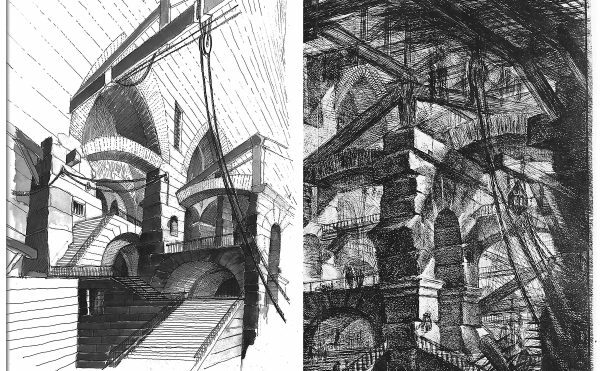 [T]ensions of a grander scale were escalating […]. It was early 1960. 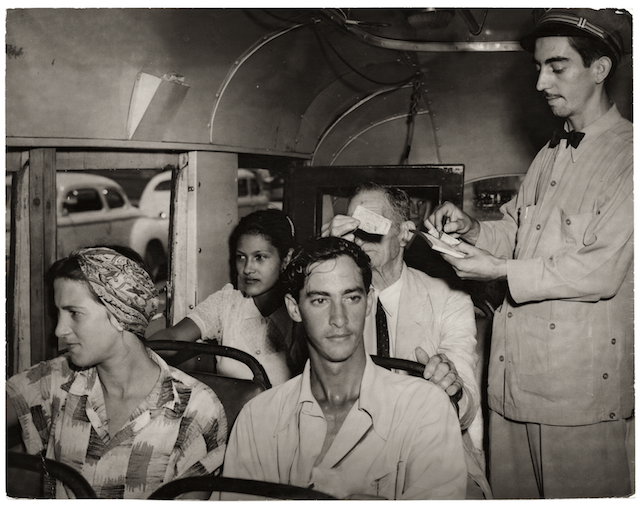 A year before, Fulgencio Batista [had] fled Cuba and Fidel Castro’s revolutionary forces [had taken] power. The country was quickly morphing from a hedonistic international playground to a full-blown socialist state […]. 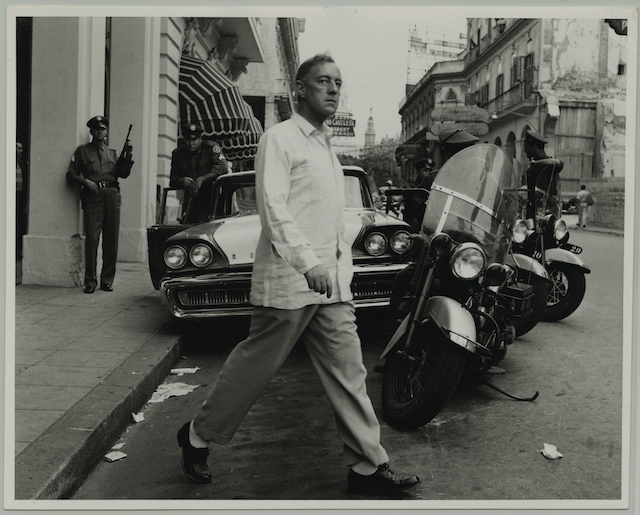 That sense of political tension becomes palpable in Cuba Then’s later pages, in which Castro’s soldiers turn up from time to time in a Havana whose legendary decadence had to be scrubbed out with socialist-reformist fervor for la patria. 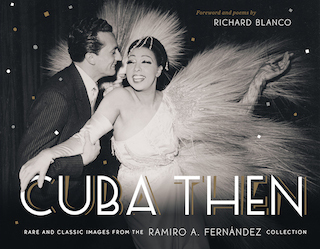 What the book’s images best capture, though, is the heady cocktail of prerevolutionary glamor, sexiness, urbanity, vice and fiesta-making that was associated with mid-20th-century Havana. 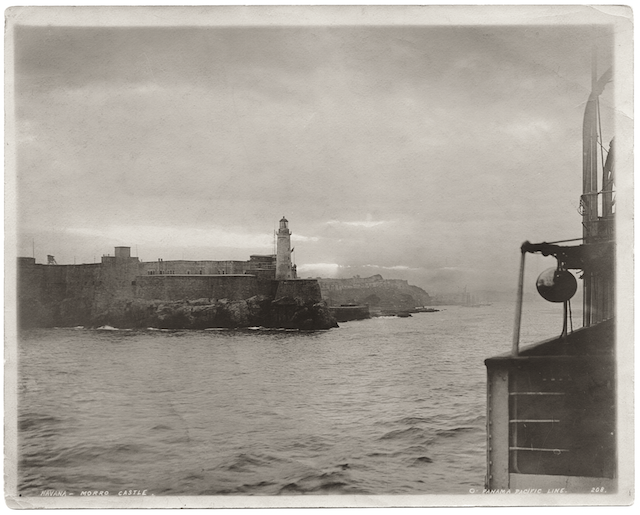 As Fernández put it, “It was a destination for boozy Americans and Europeans looking to have a wonderful time.” The photographs include storybook views of Havana Harbor; early 20th-century cartes de visite showing children with their pets (one boy rides a sheep); and shots of nightclub entertainers in their most lavish (or skimpiest) costumes, striptease artistes and cigar-crunching crime bosses. They also reveal a relaxed Prince Edward, the Duke of Windsor, waiting to tee off at Havana’s country club in 1954, and Winston Churchill, in 1947, dipping into a fresh box of Cuban cigars. Not to be missed, too, are a 1936 portrait of Juanita Coffigny, Cuba’s rumba-dancing answer to Josephine Baker; a 1953 shot of the American burlesque star Martha Lachima Virginia (“Miss Bubbles”), striding through Havana, shirtless, in a clear-plastic raincoat; and a 1954 studio portrait of a body-oiled, black, turbaned muscleman wielding a machete the size of a tennis racket (the image was made by the famed, beefcake-loving lensman, Károll, né Luis del Cueto). There are hunky boxers here, too, and magicians, businessmen, bellboys, butchers and big American cars. 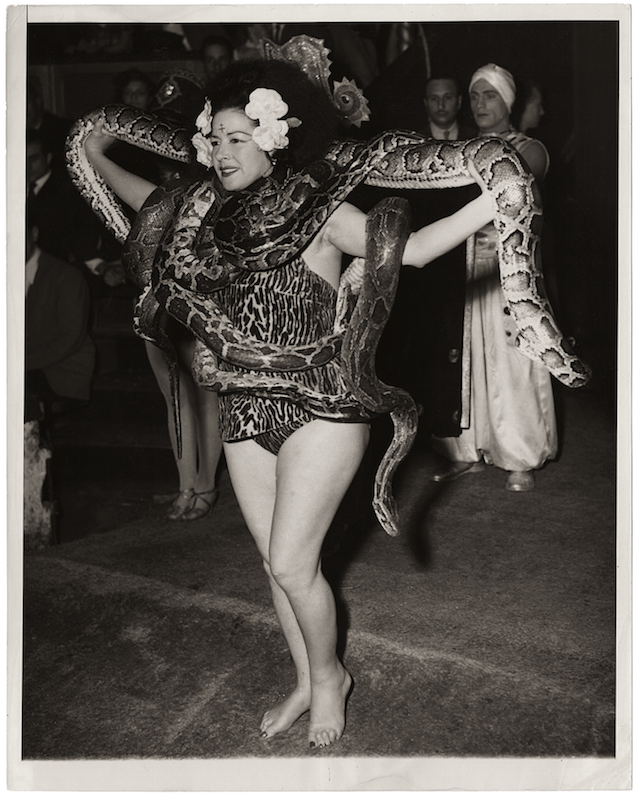 Fernández has been obsessed with the circus ever since his nanny in Havana would take him there to meet her boyfriends backstage, and Cuba Then includes photos of high-wire artists, jugglers, clowns and, from the early 1940s, a chubby female performer draped in giant snakes, plying her trade in the east-central Cuban town of Camagüey. Cuba Then has it all, from pre-Castro, bosom-shaking showgirls to U.S.S.R.-made, surface-to-air missiles on parade in Havana’s Revolution Square in the early years after Fidel’s victory (and, in 1964, the same scantily clad dancers, now shimmying for Soviet Bloc visitors at the Tropicana, which had been taken over by the Cuban-socialist state; ¡viva la Revolución!). Compared to Cuba Then, the short-story collection Cuba in Splinters: Eleven Stories from the New Cuba (Or Books), compiled and edited by Orlando Luis Pardo Lazo and translated from the original Spanish by Hillary Gulley, expresses a very different kind of longing, not so much for a romanticized, real or imagined past, but for the soul-stirring future the revolutionary government and self-styled utopian state promised but notoriously failed to deliver. 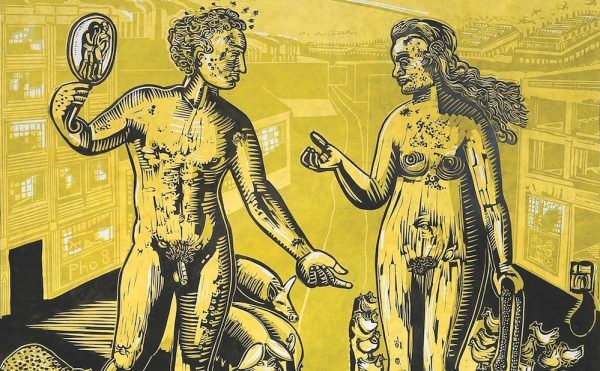 “The literature of the Revolution always lacked imagination,” Pardo Lazo points out in his introduction to this anthology of contemporary fiction from his homeland. 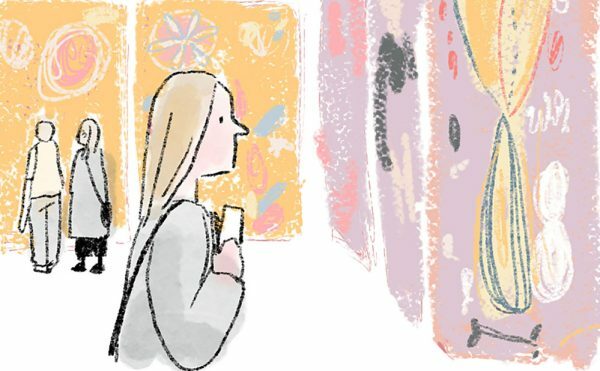 The book then goes on to deliver assorted cris de coeur from a generation of young writers whose boredom, frustration and anger echo through the book’s pages. Although the narratives included here do not always take the most innovative, resonant or stylistically distinctive forms (Henry Miller, Charles Bukowski and the like are the cited influences of several of these writers), given their often raw emotional-psychological intensity, they certainly do offer writing with a purpose. Collectively, these stories are not always an easy read. Roughly two decades later, what does the exasperation of young Cuban writers sound like? Espineta writes tight, short scenes and dialog as hard-boiled as anything in the annals of noir, but the words that spill from her protagonist’s mouth are telegraphic messages from a deep reservoir of pain, crushed self-esteem and injured pride. “Pretty women shouldn’t travel alone,” says a man who shows up on the station platform — and later seeks a sexual favor. “I’m with my son. 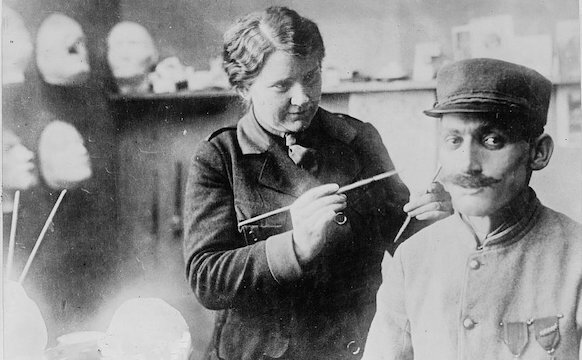 And I’m not pretty,” the woman replies. “But you have something…,” the man says, flirting insipidly. “At this time of night, all women have something,” the mother shoots back — and, of course, later the john shortchanges her. “[A]ny story can start anywhere, insignificant. Even less important is the path traveled, where it starts or how to map it,” Lia Villares writes in “Thirty Seconds of Western Silence,” and many of the slice-of-life tales in Cuba in Splinters do seem to emerge out of fragments of their protagonists’ recollections, or from too-familiar gestures between too-familiar acquaintances on too-hot, too-humid, time-standing-still days. There is absurdity under the Cuban sun, too, as in this volume’s title story, by Ahmel Echevarría Peré, in which a young man is hauled away from a park by security officials. His offense: using scissors to cut paper dolls out of newspaper pages. Castro’s revolution was and is a phenomenon, Pardo Lazo suggests in his introduction, which can be “understood as a national narrative that distances us from the rest of the planet.” It has, he adds, “caused us Cubans to be less contemporary.” Now, though, as the United States, whose government is being bankrolled through routine purchases of its debt in the form of U.S. Treasury Bills by communist/capitalist China, reluctantly loosens up in its relations with still-socialist Cuba, is a new chapter in the island’s painful recent history about to begin? That remains to be seen. Meanwhile, as a small island in a vast region whose long history has often been as colorful as it has been harsh, Cuba then — and now — remains one of world culture’s most complex, strangely alluring subjects. These two new books call attention to the enduring attraction of a place whose ongoing story of conquest and liberation isn’t over yet. Cuba Then (2014) is published by The Monacelli Press. 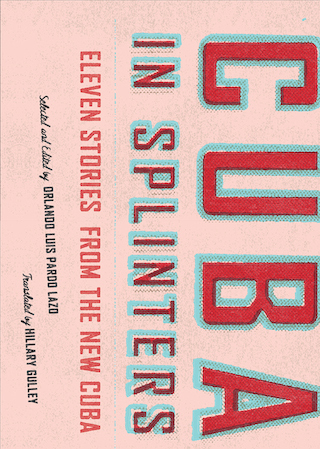 Cuba in Splinters: Eleven Stories From the New Cuba (2014) is published by OR Books.